Its time for a taste. 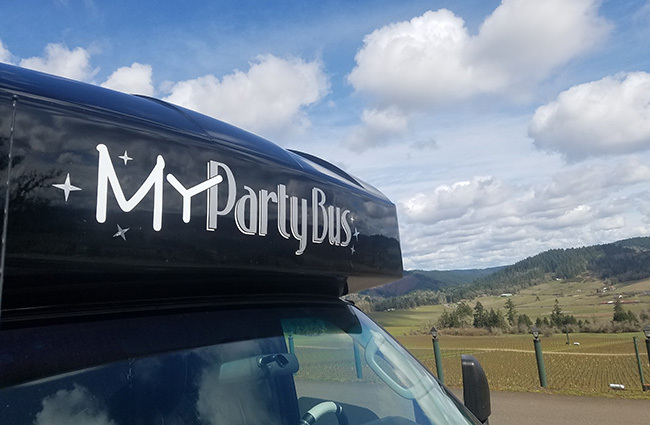 My Party Bus is the perfect solution for a great local wine tasting day! 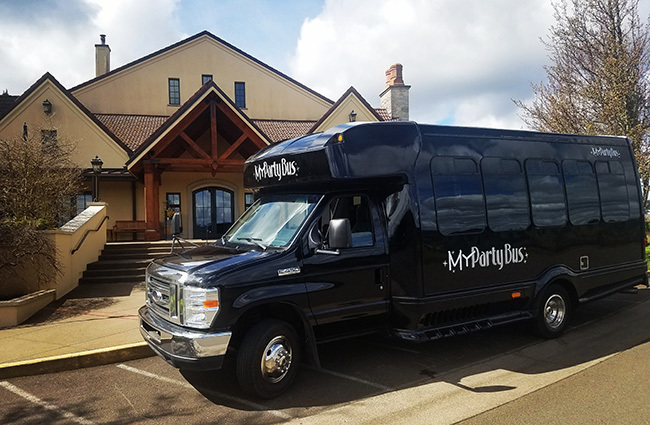 We can create a unique wine tour customized especially for you and your party from a date night in a limo to 20 people in a party bus. 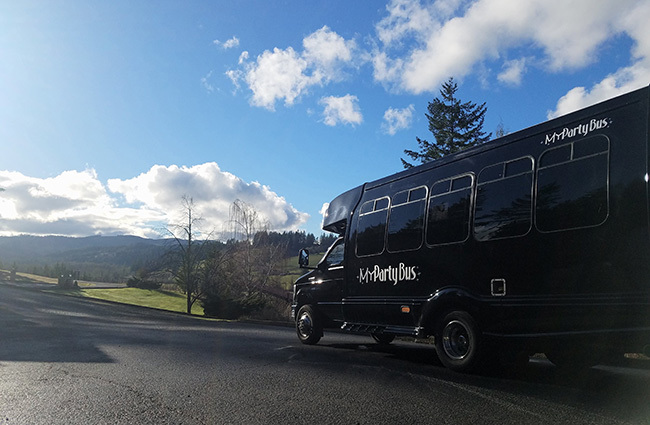 Let us take the worry out of your wine tour plans. 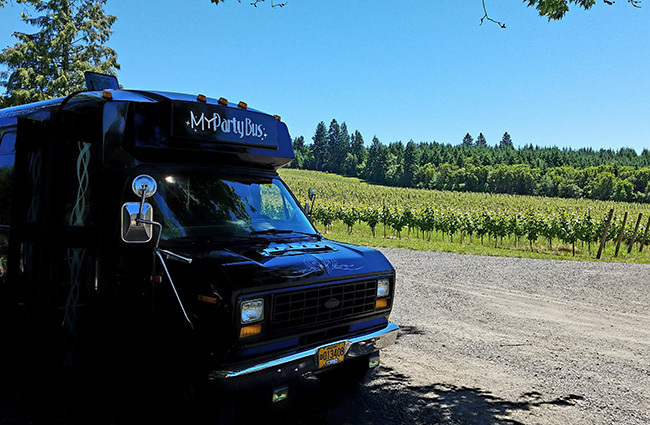 We’ll arrange a winery tour that will give you a taste of all the wonderful wineries in Oregon. 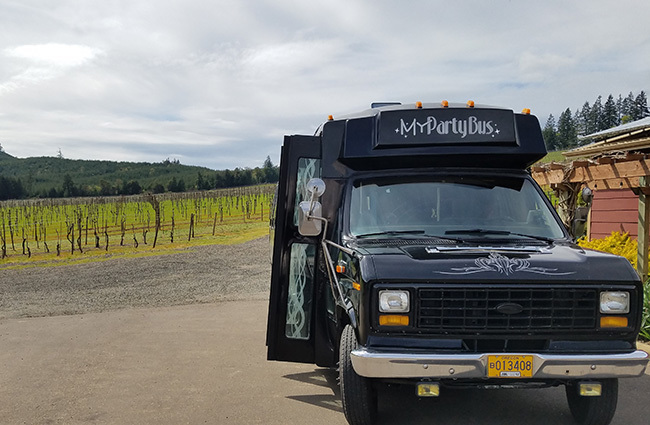 We specialize in wine tours throughout Lane County and the Willamette Valley, starting from Eugene going to the SW or NW, Corvallis, Salem, or Roseburg with all the great wineries in between. 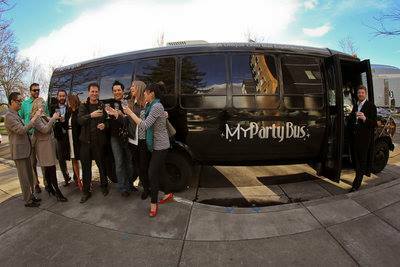 Book with us today and we will show your group a fun, safe and reliable party bus or limo experience that you will never forget. 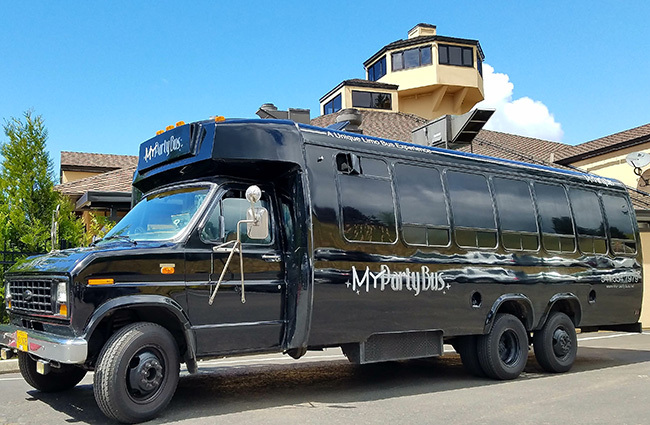 Becoming one of the most popular destinations within the South Willamette Valley. 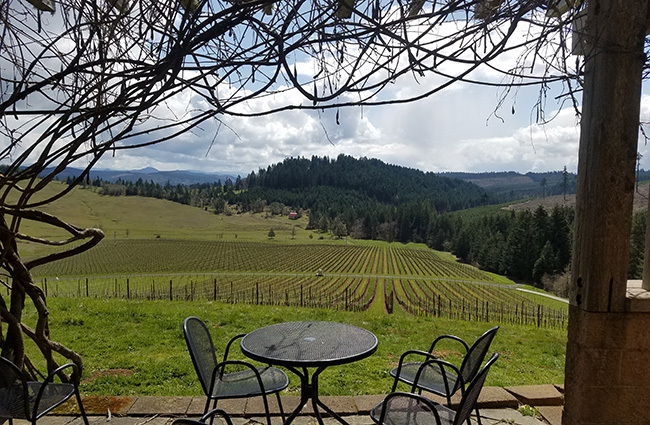 Known for their award winning wines, friendly wine servers, and beautiful views, this winery is a must see for wine enthusiasts. Famous for their Rose Cheeks. 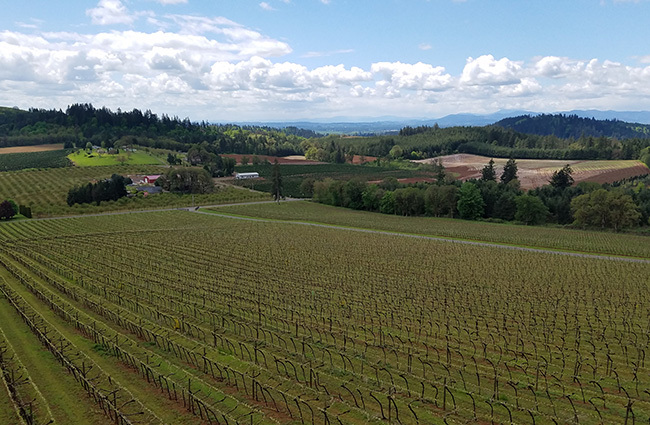 Known for their distinctive Willamette Valley Pinot Noir and Pinot Gris, Silvan Ridge has put together a portfolio that includes some of the finest, most stylish varietal wines being produced in Oregon today. Try their malbec or early muscat. Specializes in small lot productions of the finest Willamette Valley and regional wines. Their comprehensive wine flight, complimented by their unsurpassed views of the Willlamette Valley make this Winery a must see destination. View of Sisters on a clear day. 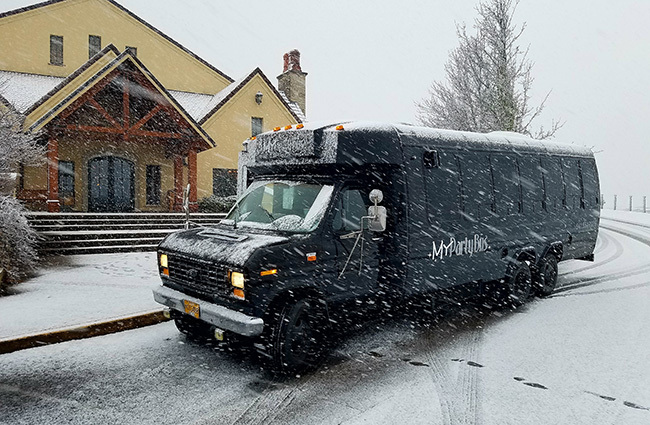 A family-owned winery and vineyard, Noble Estate offers award winning, high quality wine that embodies the taste of the South Willamette Valley. 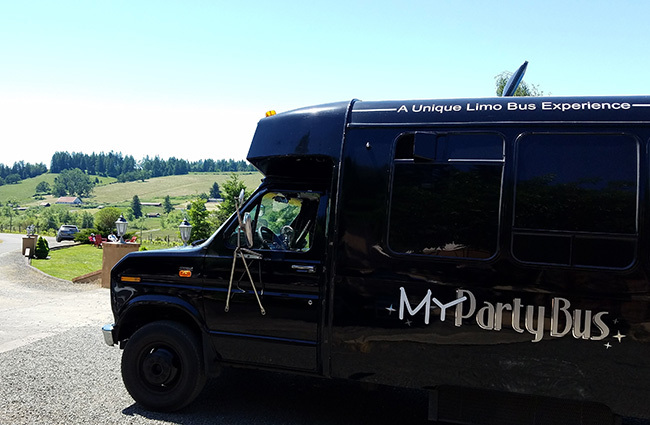 Their outside seating area offers breathtaking views of the Willamette Valley. 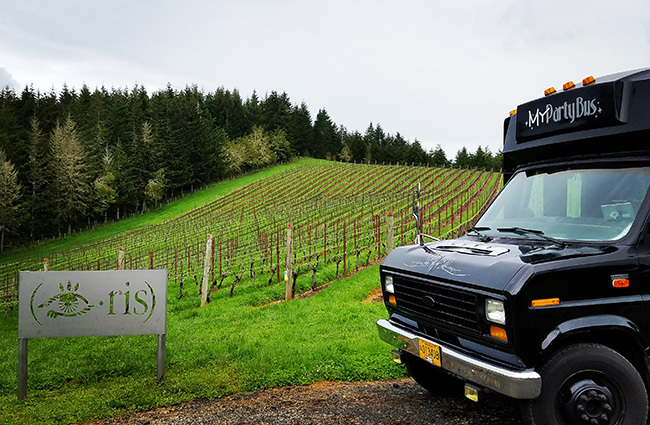 Iris Vineyards offers handcrafted wines that are made from grapes that are exceptional in quality. Their wines capture the finest elements of the grapes by gentle handling and skillful artisan processing. Offers award winning, organically certified wines that are known throughout the country for their exquisite complexity. They also offer a fine dining restaurant that utilizes estate grown organic produce for their innovative culinary program. Dedicated to the production of small lots of distinctive handcrafted wine, Abbelone Vineyards uses traditional Burundian methods to produce wine that delivers an intense yet delicate fruit flavor. Enjoy award winning wines while experiencing their beautiful country setting. You will fall in love with their rustic tasting room that is located in their 100 year old farmstead barn. 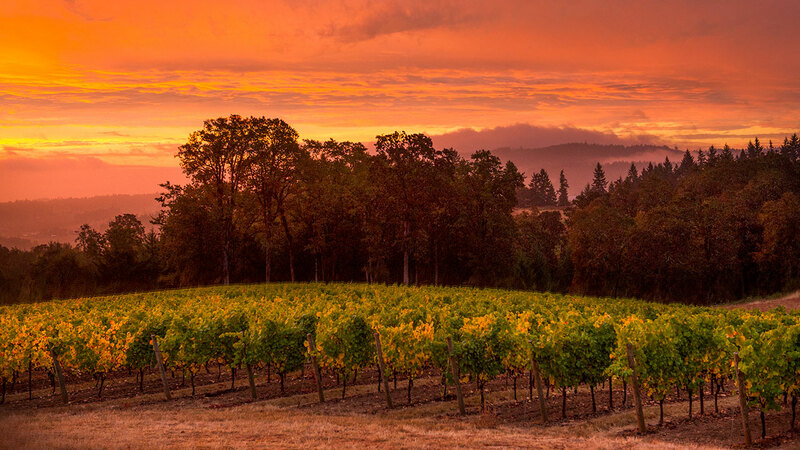 Known for their world class cool climate whites and pinot noir, Brandborg incorporates the unique climate of Elkton to create truly special wine varieties. Award winning wine is created from handpicked estate fruit that is picked when optimally ripe. You will truly enjoy their crisp white wine and red wines that are deeply colored with intense flavors and aromas. This beautiful estate offers handcrafted, artisan pinot noir that is made from grapes that are grown exclusively at their 20 acre vineyard. Known throughout the valley for growing exceptional grapes, Walnut Ridge has put that same passion and dedication into creating their wine. With spectacular views and a beautiful tasting room, you will love this wine destination. With spectacular views and a cave tasting room, Pfeiffer is one winery you must visit. They focus on small lot productions from grapes that are grown on their 70 acre vineyard. Their award winning wine is sold exclusively at their tasting room and through their wine club. Known for their award winning pinot noir, pinot gris, and dessert wines, High Pass Winery is a small volume producer that focuses on quality. With a commitment to fine wine and sustainable agriculture, Brigadoon’s award winning wine is exceptional in quality. Exclusively focused on producing the finest pinot noir and pinot blanc, this family owned vineyard is an experience that you will not soon forget. This winery offers spectacular views of the Coburg hills, They offer quality wines using estate grown grapes.